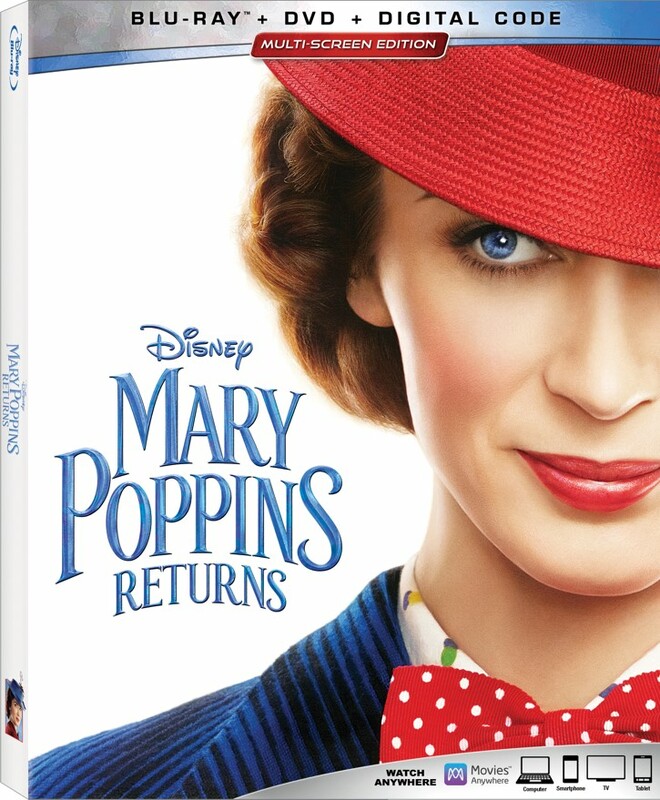 What did you think about Mary Poppins Returns when it was in the theater? Did it hold up to the iconic Mary Poppins film? Disney has just released the home video version with a lot of extras, including a digital release-only item. Check out the release information below. Seeing Things From a Different Point of View”: The Musical Numbers of “Mary Poppins Returns”– Go behind the scenes and experience the film’s production numbers from a new angle. I have to admit that the filmed charmed me so much more after the first viewing. The music was good, but didn’t seem to reach the legendary feel of the Sherman Brothers. Several songs captured my attention and a few have grown on me after multiple listens to the soundtrack. Several iconic scenes, like the Royal Doulton Music Hall, were inspirational and covered by the bonus features. Overall, you’re going to buy this blu-ray/digital download simply for the film. The bonus features are good, but nothing stands out as a must have. I still highly recommend that you check out Practically Poppins in Every Way by Jeff Kurtti! FTC Disclosure: A copy was provided by the company for the purpose of this review. This post contains affiliate links, which means that ImagiNERDing receives a percentage of sales purchased through links on this site. Thank you for your support!